There's something so comforting about pancakes. Not the big flat ones - the nice little chunky ones. American style. My Granny used to make them for us every time we went to see her for tea and we loved it. 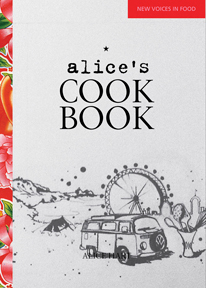 I was given Alice Hart's cookbook for Christmas and it happened to fall open on the pancake page yesterday. The bigger Cub's latest love is to cook. So we decided to try out her recipe together. The addition of a few too many whole eggs thrown into the mix meant things took slightly longer than it should have done - but we got there in the end and they were a sensation. They are amazingly quick to make so perfect for impatient small boys. And me. Perfect for freezing January afternoons. Mix the flour, salt and sugar in a bowl. Make a well in the middle of the mixture, crack in the egg and slowly pour in the milk. Mix with a fork until it's smooth and the consistency of double cream. Heat a heavy bottomed pan and melt a little bit of butter. Then with a ladle or big spoon pour a dollop of the mix to make roundish pancakes. When they start to bubble flip them over. The cooked surface should be golden. Cook for another minute and then serve with butter, joy and jam. 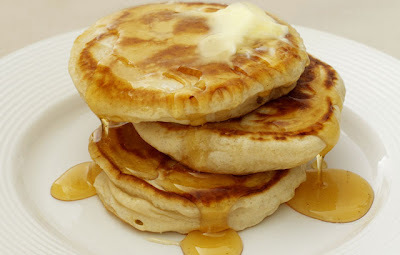 Yummm, these look delicious, its been too long since Ive had pancakes, might have to try this recipe!